California air regulators Friday unanimously approved the world's most stringent rules to reduce auto emissions that contribute to global warming — a decision that could affect car and truck buyers countrywide. The regulations are expected to cut exhaust from cars and light trucks by 25 percent and in larger trucks and sport utility vehicles by 18 percent. The industry will have until 2009 to begin introducing cleaner technology, and will have until 2016 to meet the new emission requirements. The move by the California Air Resources Board came despite vigorous opposition from auto industry officials, who argued that the board did not have the authority to adopt such sweeping regulations and that they could not be met by current technology. The industry has threatened to challenge the regulations in court. Gov. Arnold Schwarzenegger has expressed support for the proposals and has pledged to fight any such lawsuits. Heat-trapping greenhouse gases such as carbon dioxide are believed by many scientists to contribute to global warming. Automakers will be required to reduce emissions by way of such innovations as better air conditioners, more efficient transmissions and smaller engines. Automakers argued that the regulations would raise new vehicle costs as much as $3,000. But the agency's staff said that the automakers had exaggerated and that the cost increases would top out at about $1,000 per vehicle by 2016. The new standards could have coast-to-coast effect: Because California represents 10 percent of the national auto market, the auto industry often overhauls all of its cars to meet California's standards. Also, other states sometimes follow California's lead when it comes to adopting clean-air standards. New York has already said it would adopt the new regulations, and several other Northeastern states and Canada are expected to do the same. 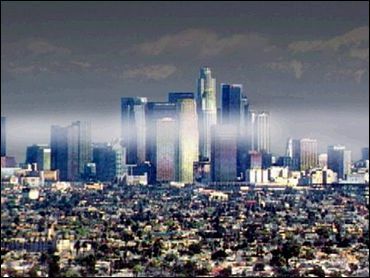 Because it began regulating pollution before the federal government, California is the only state able to set its own vehicle pollution standards. Other states can adopt either the federal standards or California's.